Attorney Fuerst specializes in assisting clients who are faced with the possible placement of a spouse or parent in a nursing home. He counsels clients in navigating the complex and confusing Medicaid rules and regulations which pertain to nursing home care. He assists couples in long-term care planning to best situate themselves for the possible placement of one of them in a nursing home. He aids and counsels them in securing maximum financial protection and in preserving assets for the spouse who will remain at home and in applying for Medicaid eligibility. 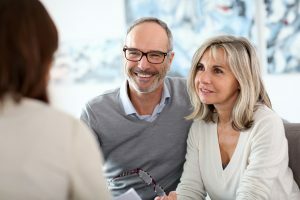 He assists clients in deciding whether the purchase of long-term care insurance is suitable for their individual needs. Mr. Fuerst has held numerous presentations on Elder law, Medicaid and long-term care and estate planning, for members of the New Hampshire Bar, estate planning councils and civic groups. A downloadable PowerPoint presentation. Download the PowerPoint file here. A downloadable PDF file of the PowerPoint presentation. Download the PDF file here. Acrobat reader is needed to view the PDF. Download a free version of Acrobat Reader to install on your computer. Also, for more information, download the following PDF files from the National Academy of Elder Law Attorneys, Inc.
Acrobat reader is needed to view the above PDFs. Download a free version of Acrobat Reader to install on your computer.